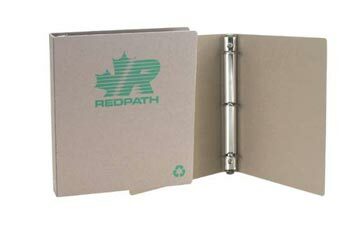 Recycled ring binders – 100% recycled board ring binders. Imprint Size : 4” x 7"
IMPRINT CHARGES: Price includes 1 location / 1 colour imprint. Additional location/color $50 set-up and $0.40 running charge each per location.